Listen to the Bobalu's Jingle. on 301 US 1 Big Coppitt Key just minutes from Key West. 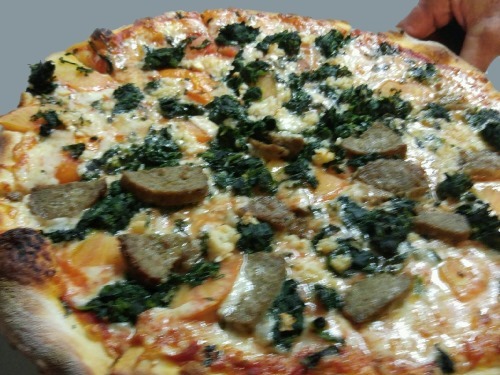 At Bobalu's we're very passionate about offering our local customers and Key West visitors exceptional home-style cooking, great New Haven Style and New York Style pizza, as well as delicious fresh local seafood. On our new, larger menu you'll find homemade Conch Fritters, Caribbean Pork Shanks, Grouper Reuben and BBQ Pork sandwiches, Whole Yellowtail Snapper, Key West Pink Shrimp, Caribbean Mango and Hurricane Hot Wings, Mac & Cheese, Collard Greens, the Key West Classic Pizza, Bo's Meatloaf and Award Winning Shrimp Corn Chowder, and of course Key Lime Pie, just to name a few items. You can even bring your own catch (fish or lobster) and we'll prepare it for you - fried, blackened, grilled or boiled, and even stuffed with crabmeat. With over 30 culinary awards in 15 years and a new wine list, owners Tina and Chef Steve DiGiovanni invite you to sample their culinary creations. 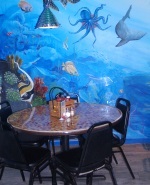 We also pride ourselves on the tropical decor we've created with relaxed indoor AC dining and fun outdoor tropical seating. 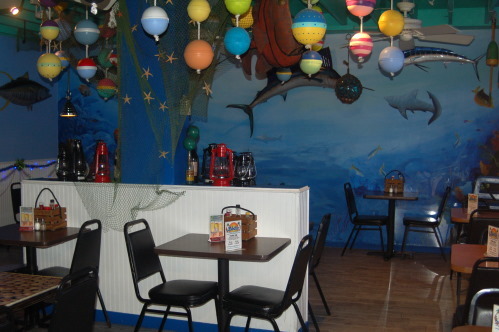 The restaurant has all new flooring, seating, colorful menus, and tropical decorations in a bright pastel atmosphere that is just the place tourists are searching for when then come to the Florida Keys. 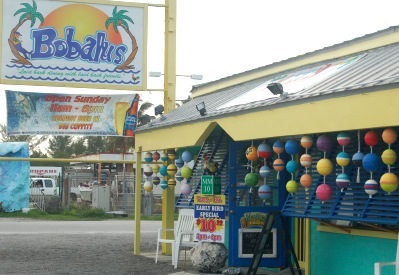 With so many Key West restaurants to choose from, we can only ask that you stop in and check us out. We're pretty confident you'll want to stay! Bobalu's is of course a pet-friendly restaurant and we welcome motorcyclists.